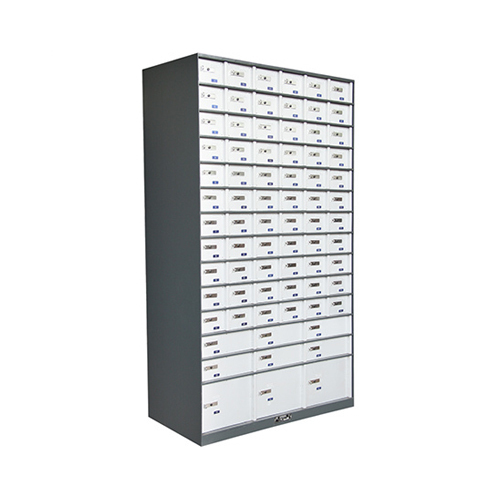 Guardwel, a trusted manufacturer of Quality Physical Security & Fire Resisting Products for the Banking & Financial Industry since 1986. 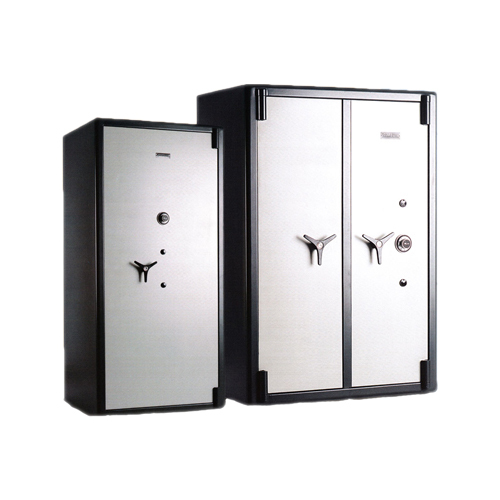 Guardwel’s range of Fire & Burglary Resistant Safes, TRTL Safes, Strong Room Doors, Fire resistant filing cabinets, Fire Protection cabinets and Safe Deposit Lockers is the simplest and the most comprehensive answer to all the concerns of enhanced attack levels. 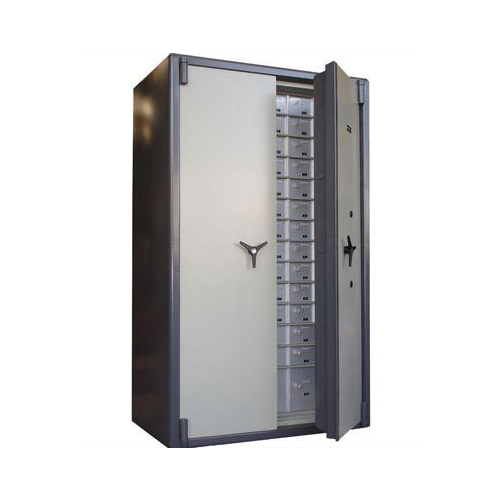 Guardwel provides a worry free solution for the safety and protection of all your valuables and belongings. Door Construction – Doors are made of tough steel plates, armor plates and special oxyacetylene flame resisting and fire & hammer resisting barrier material. This combination of different layers makes penetration of the door difficult even with multiple modes of attacks. 73 mm thick door slab comprising of total of 18 mm thick tough tested M.S. plates, drill resisting armor plates and torch & arc resisting special alloy plates. Reinforced by fire & hammer resisting layer. Total thickness over lock area is 78 mm. 88 mm thick door slab comprising of total of 32 mm thick tough tested M.S. Plates, drill resisting armor plates and torch & arc resisting special alloy plates. Total thickness over lock area is 99 mm. Fabricated using 100x100x10mm rolled angles for standard & 150x150x12mm for Premium doors. Vestibule plates are strengthened by providing solid rebate bars riveted on it. 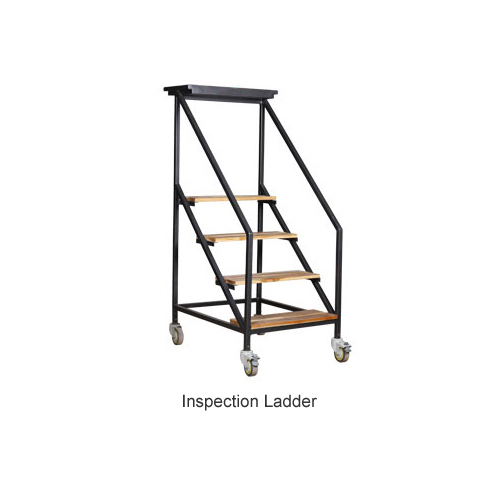 Vertical sides of the frame are provided with 3 nos. wall hold fast angles on each side. 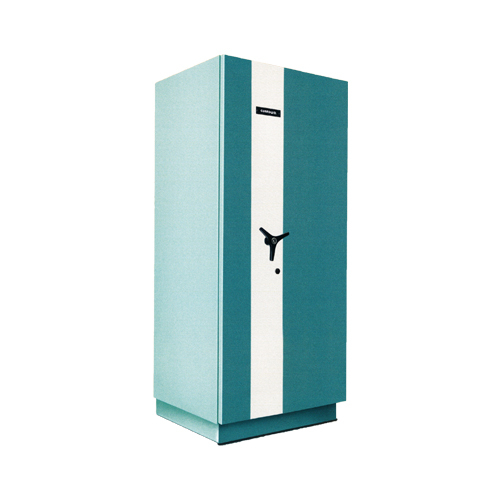 B class doors: Frames are fitted with provision for Electrical supply as standard. The door has 12 sliding bolts(6 on either side),of38mm (1 1/2″)each. Sliding bolts slide behind box formed rebate bar on the doorframe, through holes in lock case angle. A double lever mechanism, connected through a handle ensures smooth operation of Bolts. Doors are provided with 2 nos. 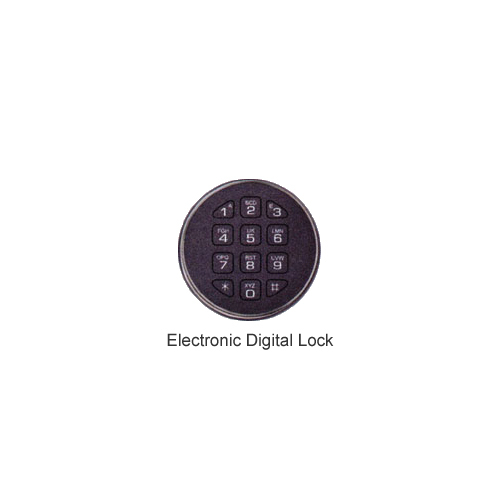 highly secured dual control key locks, designed and manufactured In house with S.S. keys in duplicate that guarantee full confidentiality & security. 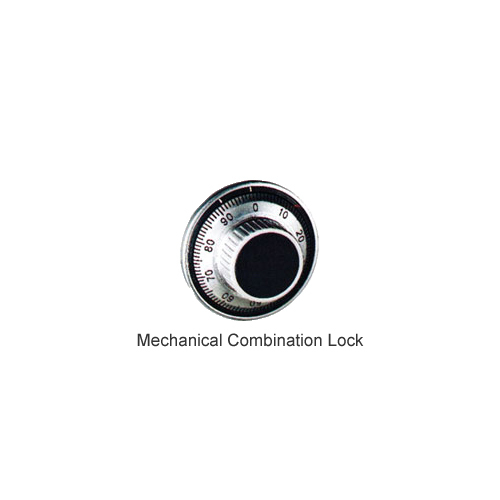 Automatic relocking device – In case of attempt to dislocate the lock, by pounding or drilling, this feature comes into operation & automatically locks the door for good. Grill gate – Made of steel flats, ‘C’ channel & 19mm dia. M.S. 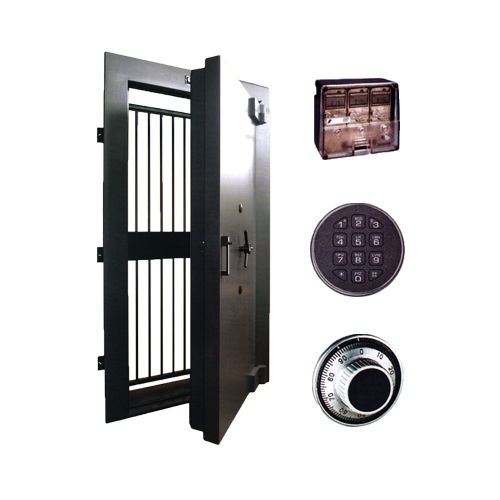 round bars provided with dual control key lock that can be operated from inside and outside. This sturdy door provides further security, when the main door is open. Finish – All the components are thoroughly cleaned with chemicals & given anti rust coating before applying 3 coats of decorative paint for hard & long lasting finish. Appropriate packing ensures the protection of finish during transit and installation. Doors are manufactured for a standard wall thickness of 280 mm with standard overall dimensions. 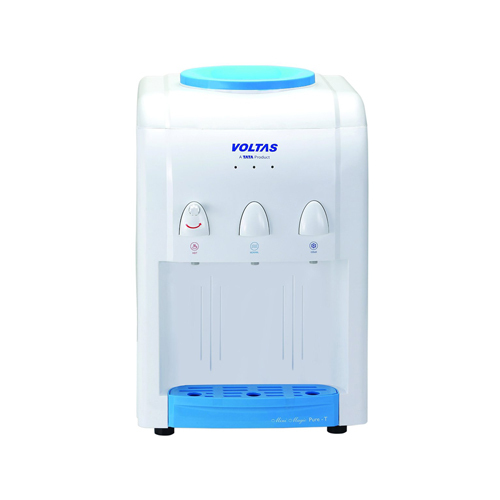 However we can redesign them to suit any customer specific requirements. 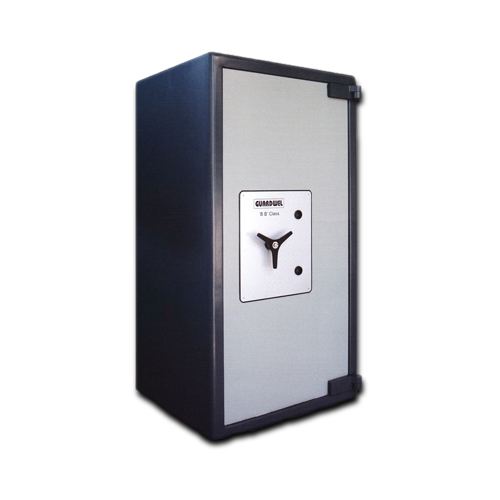 User specified Biometric locks, Time locks, Time delay locks or provision for fitting them, can be availed at an extra cost. Note :In our quest for continuous improvement, we reserve the right to alter any part of above specifications without incurring any obligation Issue Date: May 2015 Issue date March 2013. We have successfully completed a number of projects throughout Maharashtra for supply, installation & after sales services of the entire product range. We have a showroom located in the heart Nagpur. Our efficient sales staff is always ready to assist our customers as and when required. We are now the Official Dealers of GUARDWELL ! © 2016 Prachit Enterprises | All rights reserved. Website Developed by Creative Core.